This housing project, Van den Broek's first, embodies the architectural embellishment of three housing blocks at a fork in the road. The design is based on standard plans used by building contractors. 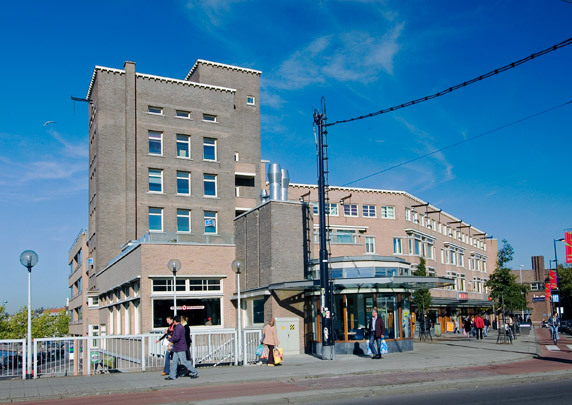 Van den Broek created a monumental square by adding two towers and two low-rise showrooms. A third tower on axis with the bridge marks a gateway to the residential district beyond. This type of urban layout can be traced back to the formal principles of Berlage. At the onset of the 21st century the complex was revivified with a mix of renovation, renewal and reconstruction.